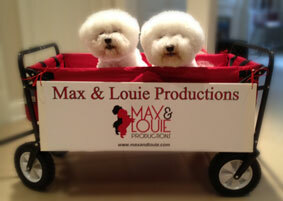 Max & Louie Productions Congratulates Lavonne Byers for her St.Louis Theatre Circle Nomination as “Outstanding Actress in A Comedy” and Erin Kelley and Shannon Nara for their nominations as “Outstanding Supporting Actresses in A Comedy” as well as Cyndi Lohrmann for “Outstanding Costume Design in a Play” and ALL CREATIVES who worked on the nominated “Outstanding Production of a Comedy”….. “The Killing Of Sister George“! And That’s not all folks ….Congrats go to Ken Page for his nomination for “Outstanding New Play” for “Sublime Intimacy” and John Flack for “Best Supporting Actor in a Drama” as well as Patrick Huber for “Outstanding Lighting Design” for “Sublime Intimacy“. Onwards and upwards! !